The UEFA Women's Champions League round of 16 first legs are on Wednesday and Thursday – here is our quick guide. Chelsea, having been knocked out by Wolfsburg in their first two campaigns, eliminated Bayern München in the round of 32. Rosengård striker Anja Mittag became the first player to 50 goals when she scored in the last round. Rosengård have already sealed their 2018/19 European place by finishing second in the Swedish league; caretaker coach Malin Levenstad will step down after this tie to be replaced by the returning Jonas Eidevall. Chelsea have won all seven of their domestic matches this season, scoring 24 and conceding one. Chelsea goalkeeper Hedvig Lindahl and Rosengård midfielder Anita Asante (who will leave the club after this tie) will be facing their former clubs. Fiorentina are the only debutants left in this round, having knocked out former finalists Fortuna Hjørring. Two-time winners Wolfsburg scored 15 goals over two last-32 legs against Spanish champions Atlético Madrid. Wolfsburg are the only past finalists still in this competition other than holders Lyon. Wolfsburg's unbeaten start to the season ended on Saturday with a 1-0 loss at surprise Frauen Bundesliga leaders Freiburg; Fiorentina were also beaten 4-2 at home by Brescia. Last season BIIK lost at this stage to Paris Saint-Germain, who went on to be beaten on penalties by Lyon in the final. BIIK have claimed wins against Verona, Sparta Praha and Glasgow City and drawn with FFC Frankfurt and Barcelona in previous home legs. BIIK have already booked a European place for next season, winning all 16 games of their Kazakhstan championship campaign, scoring 84 goals and conceding three. Lyon have won all ten of their fixtures this season, scoring 58 goals and conceding just twice, in a 9-2 win against Paris FC (the former Juvisy). Ada Hegerberg has scored 17 of those goals. Lyon are aiming to be the first five-time winners and the only team to lift the trophy three seasons in a row. Brescia are in the round of 16 for a third year running; they beat Fortuna in 2015/16 but lost to the same opponent last term. 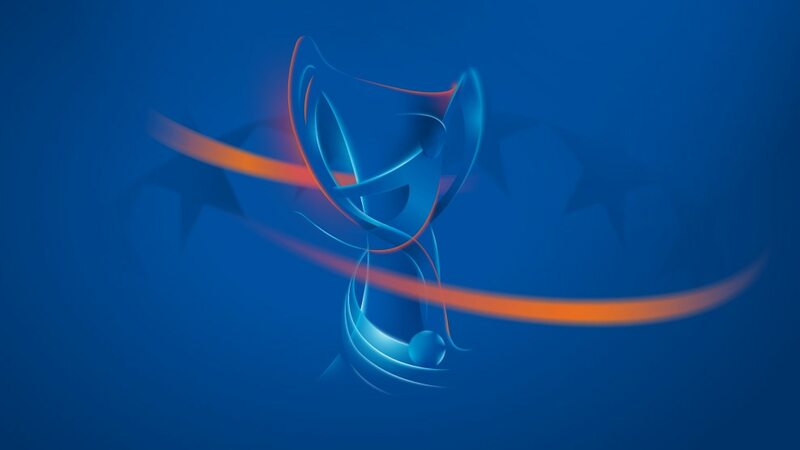 Montpellier finished ahead of last season's beaten finalists Paris Saint-Germain to take France's second place in Europe; they won 2-0 at 2009 runners-up Zvezda-2005 in Russia to overhaul a 1-0 first-leg deficit in the round of 32. Montpellier made it to the semi-finals on their debut in 2005/06. Brescia are fresh from their 4-2 league win at Fiorentina while at the weekend Montpellier lost 3-1 at the side they pipped to Europe last season, Paris Saint-Germain. In their only previous appearance at this stage in 2014/15, Gintra lost 5-0 at home to Brøndby, then won 2-0 away. Gintra will be back in Europe next year, scoring 169 goals in 18 games in winning a 13th straight Lithuanian title. Barcelona were in the semi-finals for the first time last season. UEFA Women's Player of the Year for 2016/17 and recently also claiming the FIFA award, Lieke Martens scored home and away in the round of 32 in her first European tie since joining Barcelona. Linköping beat Sparta 2-0 at home and 1-0 away in this round in 2010/11, the fourth time the Prague club had been eliminated by Swedish opposition in eight entries. Linköping have already booked their 2018/19 place by retaining the Damallsvenskan title. Sparta are contesting this round of the first time since 2012/13. On Saturday Sparta drew 2-2 with fellow last-16 contenders Slavia; Prague is the first city to have two teams in this round in the same year. Lillestrom-based LSK have secured a fourth straight Norwegian title to ensure their berth in the 2018/19 competition. No Norwegian side have reached the quarter-finals since Røa in 2009/10. City got to the semis on their tournament debut last season. City have won all eight of their matches this season. Stjarnan's win against Rossiyanka in the round of 32 was Iceland's first-ever knockout victory in this competition. Stjarnan's previous three campaigns had all been ended by Russian opponents. Stjarnan finished fourth in the Icelandic league this year; Thór/KA won the title and a 2018/19 European place. Slavia are three points ahead of Sparta in the Czech league after the weekend draw.